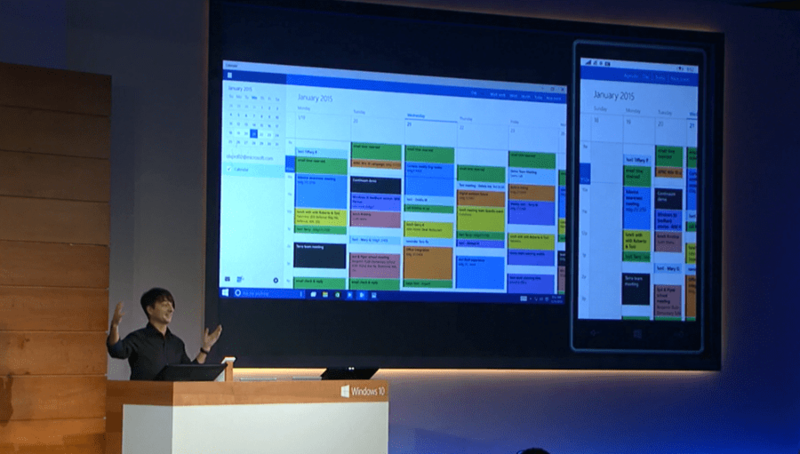 In Windows 10, the Office team are thinking about how users move between devices in a serious way. 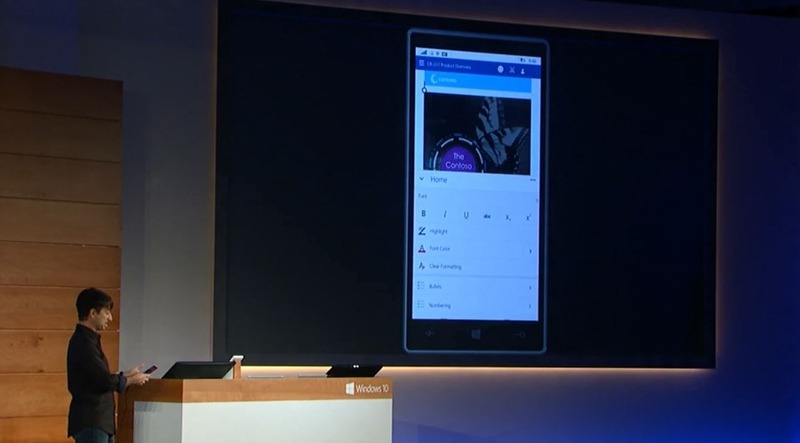 Joe Bel showed off a couple of new universal apps that run both on the PC, but also on the phone. 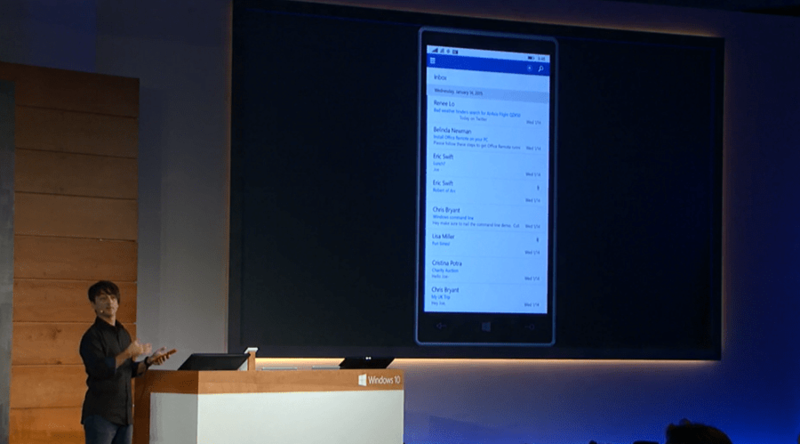 The mail app will now support swipe gestures, left to flag for follow up and right to delete. Those Android users will be familiar with this from Google’s Inbox app. It’s an efficient way to deal with sprawling inboxes and it’s good to see Microsoft ‘borrowing’ that feature. The key here is that the universal apps connect to the same data source , so dealing with email means you see mail once. The calendar app works much the same way with calendar events and meetings flowing between devices. 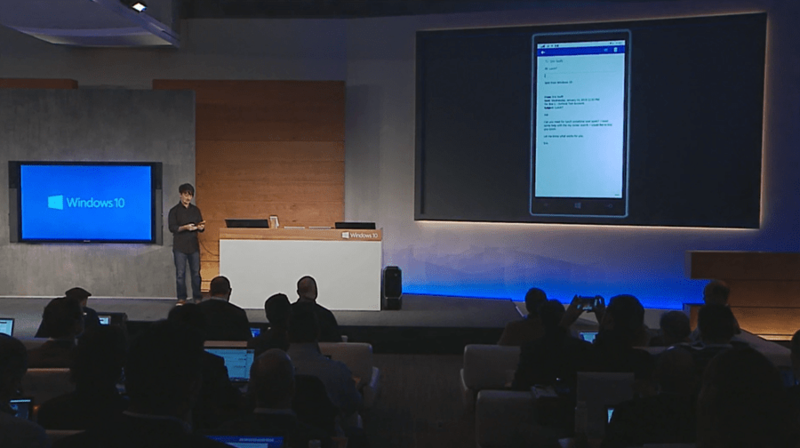 The new Windows 10 version of Office brings the Office Ribbon to mobiles. While you can edit documents today, the experience is somewhat limited. 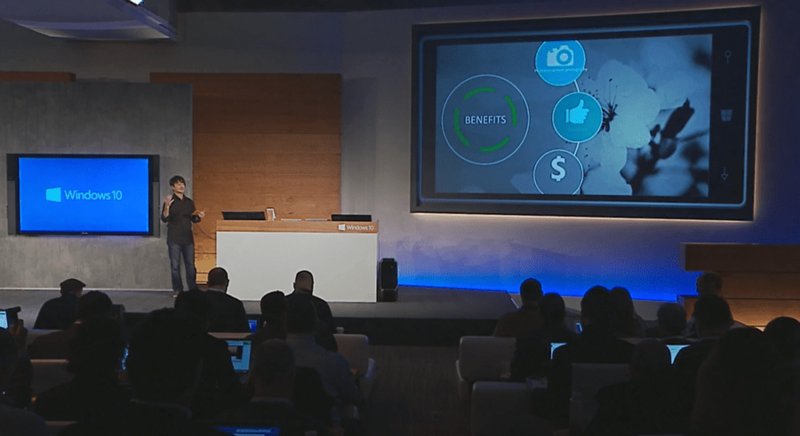 Microsoft showed off an experience of dealing with more complex office tasks like reviewing changes. 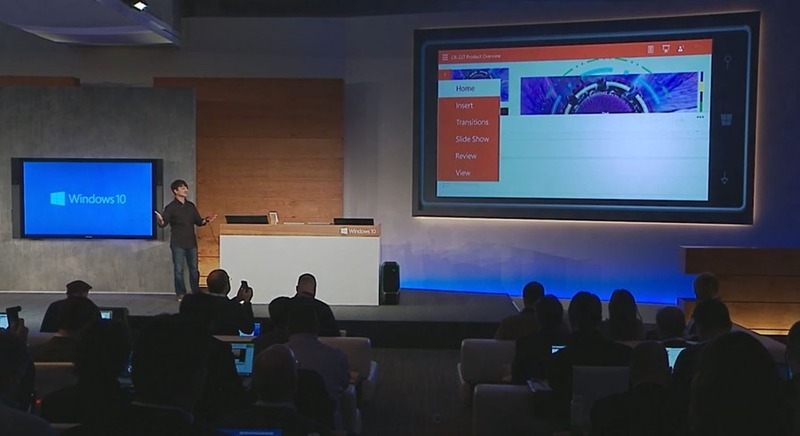 Below you’ll see a new mode switching menu in PowerPoint.